For example, a few years ago a Korean American woman, Angela Buchdahl, was named Senior Rabbi of Manhattan’s Central Synagogue. She is the first Asian-American senior rabbi of one of the North America's largest (2,400 families) Reform synagogues. Born in South Korea in 1972, Rabbi Buchdahl, and Chinese American Reform Rabbi Jacqueline Mates-Muchin, rabbi of Temple Sinai in Oakland, California. exemplify the new, ethnically and racially diverse face of the worldwide Jewish community, which now includes between 300-500,000 non-Jews who have become Jewish - formally by conversion or informally by acculturation into the Jewish people and its culture. Orthodox Rabbis would not accept these two Reform Rabbis because (1) they do not want to accept any Jewish woman as a Rabbi, (2) they do not want to accept any Reform Rabbis as Rabbis, and (3) because they do not want to accept Reform converts to Judaism in general. They only want to maintain a monopolistic control over Judaism. Some Jews today who have converted to a Protestant Fundamentalist denomination call themselves “Jews for Jesus” or Messianic Jews; but almost all non-Orthodox Jews think they are simply mixed up. What might be considered the Jewish Nation? The answer to the question of ‘what are Jews?’ is that since Judaism and the Jewish People are so deeply intertwined they cannot and should not be separated. Individuals Jews act in all kinds of ways, but the historical community is a blend of Jews: by birth (genes), belief, behavior and belonging. New genetic studies show how over the centuries many non-Jews have entered the Jewish community and many Jews have, voluntarily or not, left the Jewish community. Today we can answer the complex question: are all present day Jews really the biological descendants of the Jews who inhabited the Land of Israel 3,000 years ago? "Our new findings define North African Jews, and enhance the case for a biological basis for Jewishness," said study leader Harry Ostrer, M.D., professor of pathology, of genetics and of pediatrics at Einstein and director of genetic and genomic testing for the division of clinical pathology at Montefiore Medical Center. However, as anyone who has been to present day Israel knows, Jews come in many shades and looks. This is because even in the diaspora, and even against the will of the ruling religious authorities, Jews have almost always proselytized their neighbors, and quietly welcomed converts into the Jewish community, even against the formal rules of medieval rabbis. That is why most Jews in different geographical locations tend to look similar to the local majority after several generations. The rabbinical rule that one should not refer to any Jew's convert status is evidence of the desire of Jewish leaders to keep proselytizing and conversion activities secret from the ruling religious authorities. 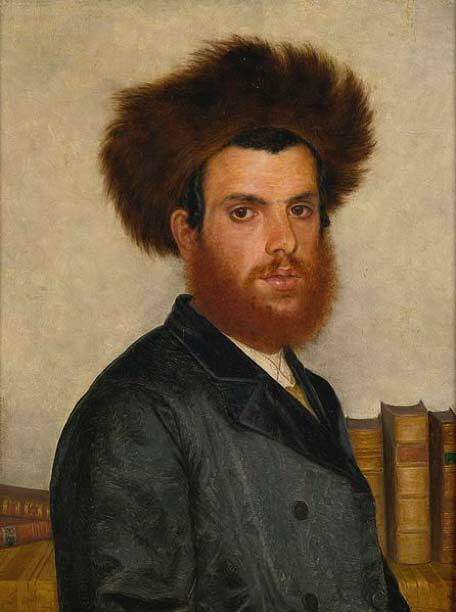 In a previous genetic analysis, the researchers showed that modern-day Sephardic (Greek and Turkish), Ashkenazi (Eastern European) and Mizrahi (Iranian, Iraqi and Syrian) Jews that originated in Europe and the Middle East are more related to each other than to their contemporary non-Jewish neighbors, with each group forming its own cluster within the larger Jewish population. Further, each of the four geographical groups genes demonstrated Middle-Eastern ancestry, plus varying degrees of inclusion of converts to Judaism from the surrounding populations. This is true even though two of the major Jewish populations -- Middle Eastern and European Jews -- were found to have diverged from each other approximately 2,500 years ago. Yet some converts to Judaism, and their genes, have always entered the Jewish gene pool. 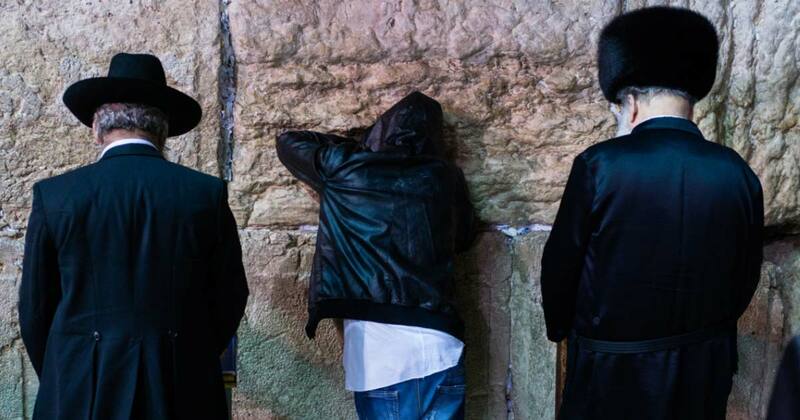 In the west today, many converts to Judaism are descendants of ex-Jews in previous generations who are now returning to the Jewish People, and bringing many non-Jewish genes with them. This unusual form of religious conversion, as a result of reincarnation, is a special aspect of Kabbalah: the Jewish mystical tradition. Unlike Buddhism and Hinduism, Kabbalah does not teach that reincarnation (gilgul) occurs over the course of millions of years to millions of different sentient species. According to Kabbalah, only the souls of self-conscious moral creatures like human beings reincarnate; and they reincarnate only when they have not fulfilled the purpose of their creation. Since Judaism is an optimistic religion, most Kabbalists teach that most people can accomplish their life’s purpose in one or two lifetimes. The souls of Jews whose children have been cut off from the Jewish people, either through persecution or conversion to another religion, will reincarnate as one of their own no longer Jewish descendants. Rabbi Maller's web site is: www.rabbimaller.com. His new book ‘Judaism and Islam as Synergistic Monotheisms: A Reform Rabbi's Reflections on the Profound Connectedness of Islam and Judaism’ (a collection of 31 articles by Rabbi Maller previously published by Islamic web sites) is now for sale ($15) on Amazon . This is what archaeologists a.o. Zev herzog and Israel Finkelstein have learned from their excavations in "the Land of Israel" in Palestine : the Israelites were never in Egypt, did not wander in the desert, did not conquer the land in a military campaign and did not pass it on to the 12 tribes of Israel. Perhaps even harder to swallow is that the united monarchy of David and Solomon, which is described by the Bible as a regional power, was at most a small tribal kingdom. And it will come as an unpleasant shock to many that the God of Israel, EL later YHWH, had a female consort (Aserah) and that the early Israelite religion adopted monotheism only in the waning period of the monarchy and not at Mount Sinai.Professor Yoni Mizrahi, an independent archaeologist who has worked with the International Atomic Energy Agency, agreed with Israel Finkelstein.Egyptian archaeologist Zahi Hawass “Really, it’s a myth. This is my career as an archaeologist. I should tell them the truth. If the people are upset, that is not my problem.” The jewish/christian bible is not a history book it's made up. In fact Israeli's are the most anti-semitic people in the world, same applies to state of Israel in Palestine. Cause semitic has nothing to do with race or religion(which is jew/judaism which started 900-700 BCE, based on annexing (yes again) older texts babylonian, akkadian,sumerian. There was no abraham in babylonia, but there was in Persia(Iran)) Semitic has only to do with LANGUAGE, Hebrew is a semitic language (2%), Arabic too (90%) so seeing percentages it's obvious who's the most anti-semitic ROFL OL Btw on race: Jewish Palestinians from before BC1 with roots in Palestine and present day Muslim Palestinians belong mostly to DNA haplogroup J1, other Arabs to J2. Christian Palestinians have just a minority in J1 strangely.Socalled Israeli's belong not to either J1 or J2, but are spread over at least 10 DNA haplogroups, mostly cause anyone can join a religion like judaism and then be called israeli(zionist) which in it self doesn't give valid claim to Palestine or even state of Israel if you only look at facts. The mentioned Jewish and later Muslim Palestinians with roots to Palestine BC1 are bloodbrothers : read Shlomo Sandd The invention of the jewish people, the invention of israel. And kingdom of Israel lasted just 200 years, kingdom of Judea under foreign rule just 400 years are were just parts of Palestine which was first mentioned by Egyptian farao's in 1150 BCE. I could include links but may not be accepted. 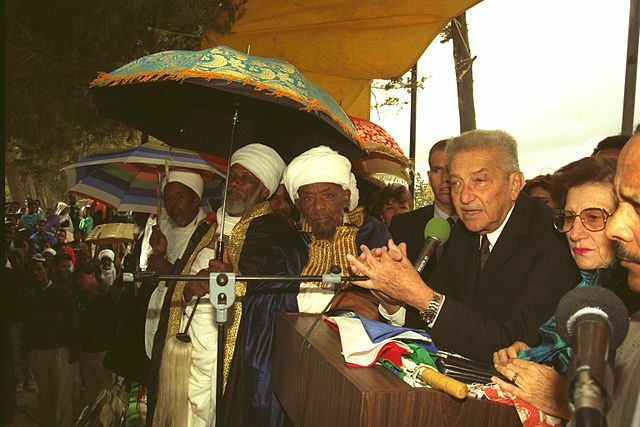 Ergo: Jewish is just a religion not a race, Israeli's have NO DNA /gene connection to Palestine, so no nation either. There are only 3 races of people as defined by science: Black, Asian, White. Everything else is Ethnicity, this is a common mistake most people make. To say the Jewish religion has their own race isn't valid. The do have their own ethnic backgrounds much like all the other people in the white race with very different cultural traditions: Mexican vs Irish, vs French, vs German. All of these people are different, but belong to the same racial category.